Sal passed away on November 18, 2008. Here are messages left by family and friends. 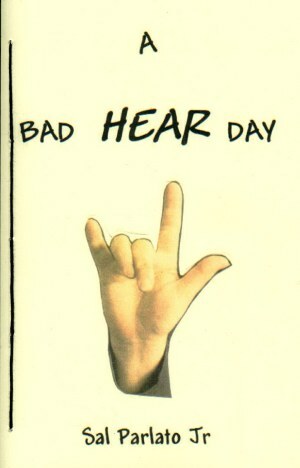 For a fairly serious collection of poems, the title Having a Bad Hear Day may seem out of joint. In explaining the apparent mismatch, though, I ask that readers regard this playful title as representing my “fun” association with the Deaf friends and professionals who have lightened my life ever since, in 1969, joining the wave of pioneer faculty at RIT's National Technical Institute for the Deaf. Partnering with Deaf Education then and in the decades beyond has helped me to accept my own delayed and relatively slight hard-of-hearingness. That the words within will match my affectionate respect for spiritual kindreds, I most gratefully hope. where most of my unhearing hang-ups hide. of questions concerning sound-alikes and tense. What for example had these tongue-waggers said? became, in my h-ear, to repair a broken kitchen. by reducing your verbiage to elements more brief. re-state your words via careful paraphrase. Make lower and slower your unbroken pace. Stay eye-to-eye closer without an about-face. may I vainly suggest now and then you speak in sign? 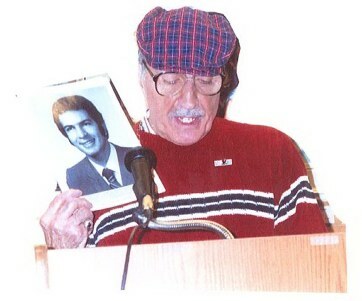 Sal Parlato Jr, after years as an educator of the Deaf, taught in the equally language-intensive field of English as a Second Language (ESL) for the Rochester (NY) suburb of Greece. Within that latter-day career, he found that his first poems on deafness, featured in respected journals, sharpened the language of his non-fiction books. From then on, he stopped referring to his poetry as “the literary equivalent of singing in the shower,” took it more seriously, and made the discipline a publishing priority. Since then, his work has appeared in such national organs as Hearing Loss Journal, Hands-On English, Tactile Mind, HazMat, SIGNews, Visual Literacy, Soundwaves, NCTE's English International, Deaf Life, and New York State Dialogue. The National Association of the Deaf featured his poetry in a record seven consecutive issues of its annual monograph. As a Marine veteran of the Korean Crisis, Sal even managed to blend verse into his novel, A Marine Corps Boot in Cold-War Parris Island, written in 2003 and revised in 2008, under the pen-name Chris Madeira, Jr. The guidelines for his prose and poetry? Say it differently. Say it passionately. Say it briefly. Retired since 1997, the Buffalo native stays socially and poetically active within Rochester's Deaf community while volunteer-tutoring ESL for refugees at the local Catholic Family Center. He and Dolores, his wife of 40+ years, live in the Town of Irondequoit, New York. Although “cat-widowed” right now, they hope to adopt a cat and dog--once they curtail their traveling. is a 52 page hand-stitched paper book with spine.